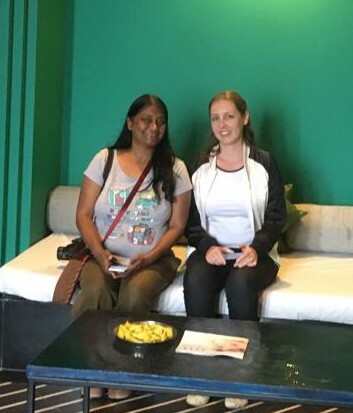 Last week I was a guest at the Lebua Resort & Lodge located in Jaipur, with my friend Anuradha from Inditales.com. 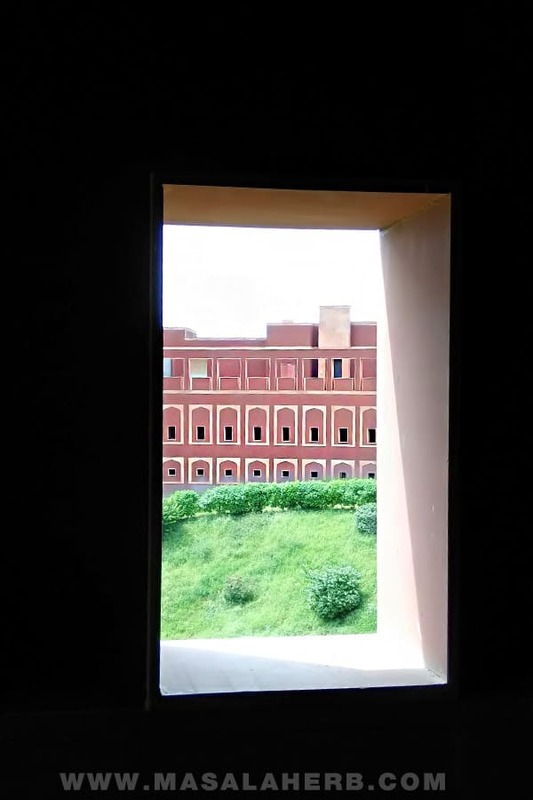 Our stay was quite a memorable one, and if you are planning to go on a holiday in and around Jaipur or if you are just looking for more information about this resort, continue reading below. I am covering hotel, service, rooms, food, wellness and attractions. Jaipur has always been on my travel bucket list! I did pass by Jaipur some 10 years ago and again back in June this year on our road trip from Goa to the Himalayas but I had never taken the time to visit the city in the dessert and this needed to change soon and what better way then to discover the “pink city” in style? The Lebua Resort and Lebua Lodges are situated around Jaipur and are a complete luxury boutique hotel experience. Both properties are very different so I will go into details with each and start out with the Lebua Resort first and the Lebua Lodge at Amer will follow suit further below. 30 minutes away from the Jaipur Airport, the Lebua Resort is situated on the outskirts of Jaipur [Rajasthan, India] in Jamdoli village, surrounded by nature next to the ancient but eroded stub, aravalli “mountain” range. 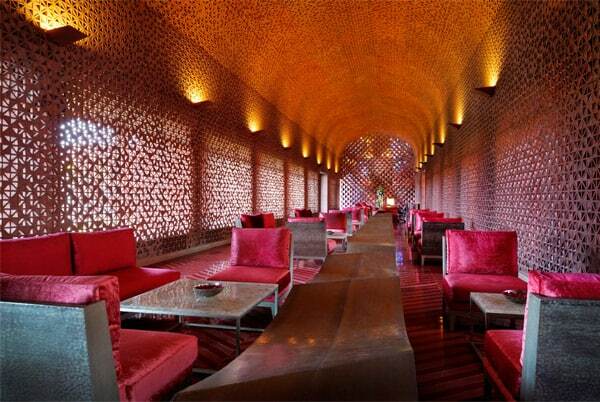 The towering red sand stone structures are is inspired by modern Rajasthani Architecture. The idea for the creative bold building came from the 18th century astronomical observatory, Jantar Mantar, and from the gem stone craft tradition of Jaipur. We reached the Lebua resort on a quite Monday early afternoon, a flight from Goa, with a stopover in Bombay, to Jaipur. The resort driver was already waiting for us at the Jaipur arrivals and got us to the resort. Boy did we receive a royal welcome! Music and warm smiling faces made us feel instantly great, and we were served delicious and healthy refreshments in a comfortable ambiance. In terms of layout, the Lebua resort is rather large, so golf cars with drivers are available at any time to take one from one corner to the next. Otherwise, the resort makes a good place to enjoy a walk while being surrounded by greenery and a stunning view. The paths are well lit too in the night and the intricate play of shades and lights lend the architecture another dimensional aesthetic, which you might not be able to see in the day light. The area in general is located in a calm environment, which ensures a complete well deserved peaceful experience. The beautiful red laced Lobby and Reception, the Vajra Restaurant, the Chakra Bar and other special private dining areas are located in the same corner/building of the resort. The rooms can be found separated from the main building, scattered along the way towards the pool and spa area. The outdoor architecture plays with the Rajasthani sun light and especially the enclosed villa buildings will remind you of a jewel box. Each private suite is as unique as a gem stone. You will discover fuchsia red and emerald green room walls among others. Upon our arrival, we were accompanied to our luxury suits and the attentive Lebua management even got us our rooms with our favorite colors. I got the yellow suite! If that wasn’t enough, I was pleasantly surprised by a welcome letter on my night table and a framed picture with my bright face smiling back at me. 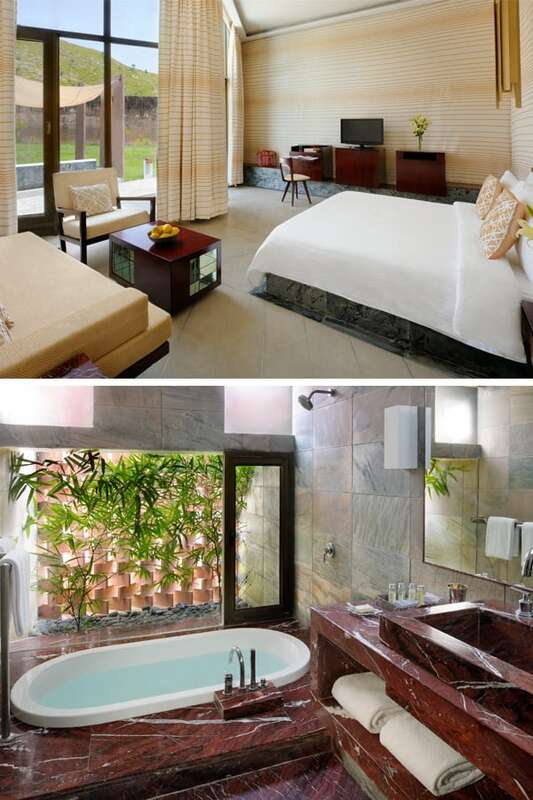 You can pick between three different suite categories and the exclusive villas in the Lebua Resort Jaipur. Keep in mind that room decoration might vary and each room has it’s own characteristics and charm. Executive Suite, the most basic and smallest room category. Deluxe Suite, includes an attached sit out. Luxury Suite, most spacious and includes a separate access to a private rooftop sit out and a small private garden on ground level. Villa, independent access and includes large sleeping rooms, cooking corner, extra large bathroom with mother of pearl tub and shower steam function and private enclosed garden and heated pool with jacuzzi function. The suites are available in 4 different colors, yellow, blue, green and red. These colors represent the Jaipur jewel tradition and bring some of the traditional side of Jaipur into a modern light. 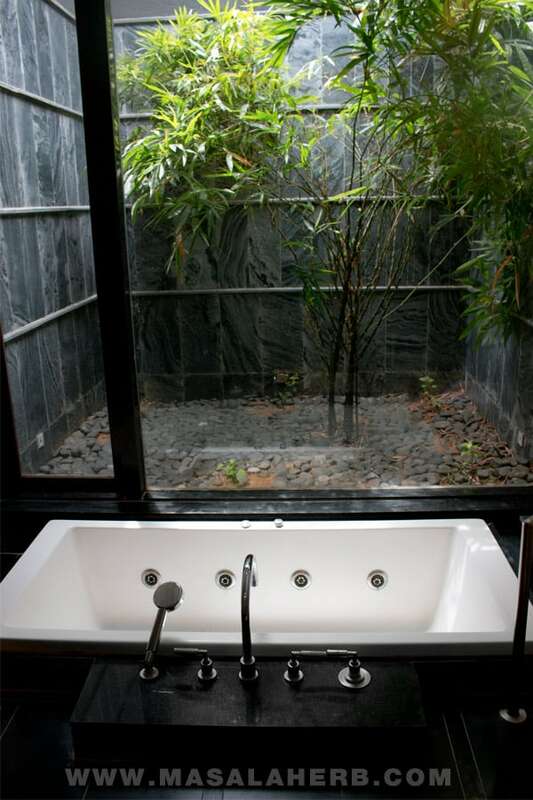 My absolute highlight of our Luxury Suite was the huge bathroom with Jacuzzi and with an enclosed zen bamboo tree outside. It’s difficult to take in the whole bathroom in just one photograph, so in that sense, you will have to come and see what I mean! When you are about to enter the Front Desk area, you will be greeted warmly by the reception stuff with refreshments, a cold wet towel and rose water face refreshment sprays. The Lebua team goes out of their way to greet you the very formal Indian way with a sincere Namaskar. So, at some point feelings of a homely abode are bound to happen and at the end of the day, that’s what most of us are looking for when we pick a hotel for our vacation. We want to be treated with respect, and we are looking for a honest smile and of course a feeling that we are very welcome. You know that you have found a great hotel when you can connect and get into a real conversation with the stuff. It’s not something that is self-evident as this has to come naturally from each team member at the hotel and it’s not something that can be forced. The Lebua stuff was really great in that. A luxury hotel has always a certain standard to follow, however if the team can master that aspect well by still communicating with a guest sincerely, then such a holiday spot is a keeper! The housekeeping team is amazing at keeping the rooms tiptop clean and hygienic! Huge plus point from my side for this. I didn’t find one spot with dust in my room. Also what I absolutely appreciated was the fact that they would prepare my bed in the evening differently then in the morning and they would keep a decorated leave on my bed, once in gold and another day with the world handwritten “Sleep well”. Again this shows the character of the management, as they make sure to amaze the customer again and again in different interesting ways. For example as we were visiting sights in and around Jaipur, we would discover in the evening, a rolled in half transparent paper, with the sights history explained and a little cake or chocolate to sweeten the read, in our room. The service was extraordinary professional, in fact it’s a rare sight to find such well trained young waiters anywhere in the world. The Chef and his team created some of the best food menus and dishes I have ever come across but more about that further below. The drivers got us safely from point A to B. The gardeners keep the premises very neat and beautiful and then there are the musicians such as the humble flute players, who amazed us every day in the morning with his sleek skills. The food at the Lebua resort will be a complete flavor experience for breakfast, lunch and dinner. Period. The Cuisine prepared by Chef Mahendra and his team is almost divine and will tickle your taste buds each time again and again. 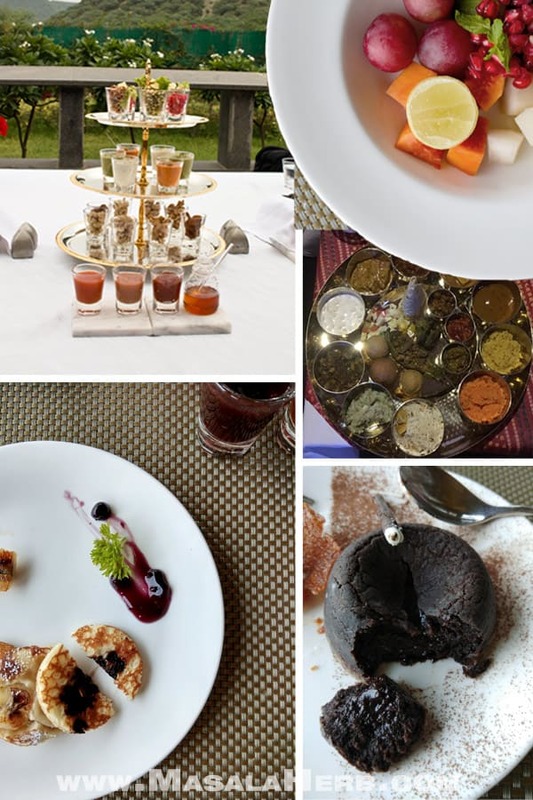 So while I got to taste some authentic flavor intense regional Rajasthani Thali – while watching a dance and fire show – I also got to experience what Mediterranean food might taste like coming from a hand of a very talented young Indian Chef and his team. 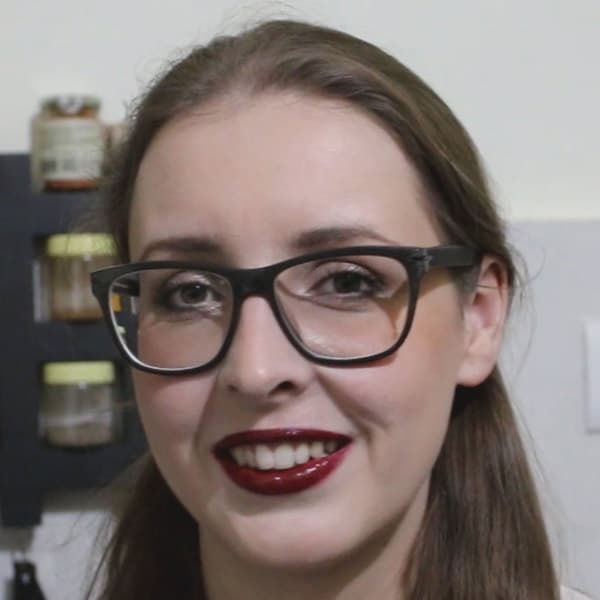 I found this super inspiring and so out of the norm and while I do expect outrageously good food, I also love to be surprised by a certain dining experience. If you know what I mean. Then on another night we were spoiled by some food action with a dry ice fog effect in my Harissa spiced grilled prawns with tartare of green apple and jalapeno with saffron caper sauce and Anuradha being a vegetarian, got to taste a delicious Masala arancini with carrot mustard relish and tomato butter sauce, among many other dishes that night. In fact I was amazed by the thyme roasted pumpkin soup with olive tapenade the same night, as it reminded me of my mothers homemade soup, which I hold dearly in my heart. The Breakfast buffet will blow you away with a rich choice of Indian and European breakfast favorites. Either hot or cold, cooked, baked or over night Mueslies, you will want to get up in the morning just to have this royal breakfast experience! 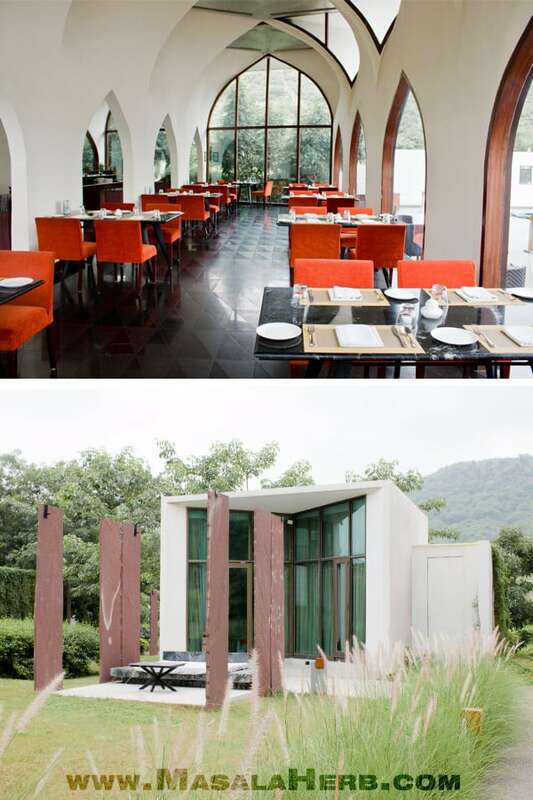 The a la carte Lunch & Dinner menu includes most of my all time favorite Indian/Asian as well as Western dishes. Including rich Soups, various Pizza & Pasta, choices of sandwich and Burger, Veg, non-Veg and dessert. 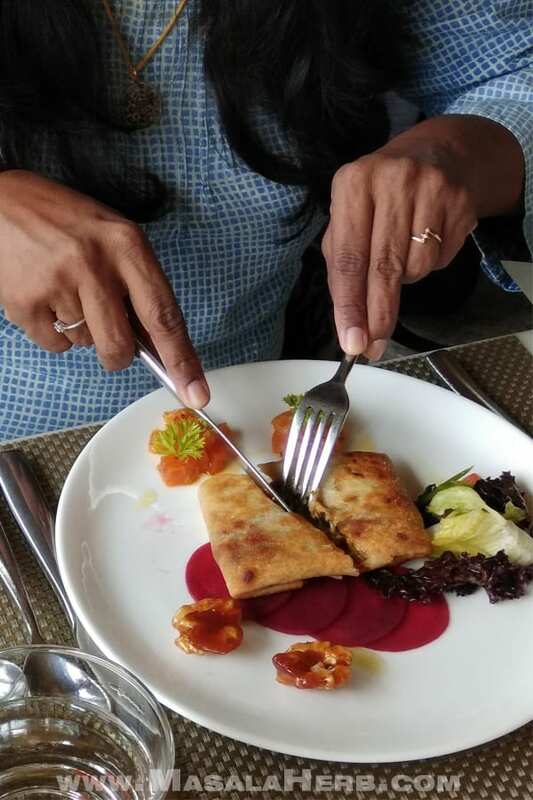 The Indian a la carte menu includes popular north Indian dishes such as Dal Makhani, Rajasthani Gatta Curry, Murg tikka butter masala and Laal maas just to name a few. I don’t have a sweet tooth so I can’t truly comment on the deserts, except maybe the Indian sweets as I really enjoy these in the last years such as Shahi Thukra and Kesar Milk. The food is definitely a reason for you to spend some days in the Lebua resort. Combine the dining experience with a suitable wine and a great evening will unfold itself. I did not visit the Chakra bar as I was always rather tired after a long day discovering Jaipur and beyond, so I can’t comment on the drinks. The Pool and Spa area is located at the other end of the resort and is overlooking the mountain range and jungle surrounding the resort. I wish I had had the time to jump into the pool water. While it was the rainy season, it barely rained and the temperatures outside were still way above 30 Celsius so it’s still rather hot and a pool jump will be refreshing even at that time of the year. Ella Spa Paris has taken over the Spa area in the Lebua Resort with their skilled treatments and each guest gets a ginger lemon honey, while filling out the form for your massage preferences. You can choose between a relaxing full body massage, hot stone massage and different facial treatments to just name a few. I went for the energizing full body massage with Asane (she is very sweet and does a great job! ), which I think was about 60 minutes long. It starts with a ritual foot wash and a well earned foot massage, before continuing to the full body massage treatment. Also, we did get to enjoy a quick 15 minute dry massage in our rooms after a long day of walking around in Jaipur. These really help you loosen up! 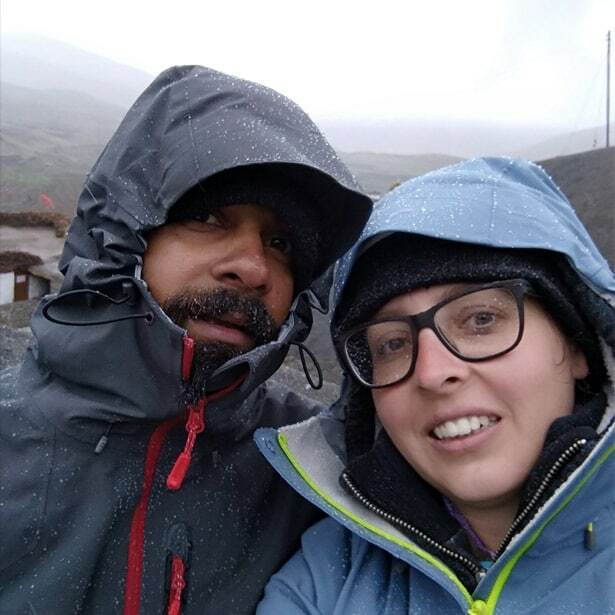 For the time we spend at the resort we were mostly busy out and about discovering different sights, so I didn’t get time to checkout the activities. We were offered a horse ride but I declined as I was super tired that day. 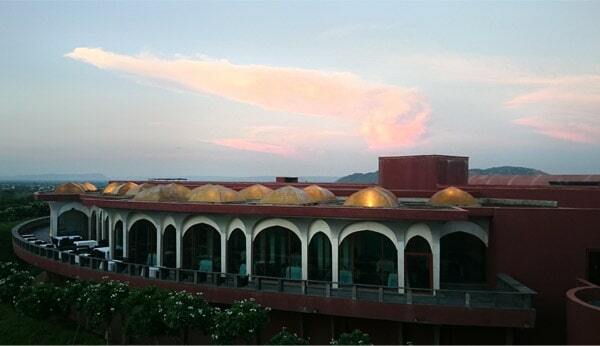 Some 30 minutes distance, situated in pure nature, touching the 16th century Amer fort walls, lies in harmony with it’s surrounding the unique Lebua Lodge concept. To get there you will drive a rocky mud road, while going deeper into the jungle, away from the busy civilization. What you get when you arrive at the Lebua lodge gate is an entry into an experience in its own and the ride to get there is just part of it. The Lebua lodge offers modern luxury cubical tents with a view, which include a well furnished interior, all modern facilities, a mesmerizing bathroom experience and a pavilion extended into a private garden relaxation spot. Each cubical is the same, however the management showed us the one with the best view and if you mention the lodge right next to the Amer wall, you might just get it! The Lebua lodge is quite popular among young Millennials. That means couples, families and friends like to visit the Lebua Lodge. The pool and spa are situated right next to the restaurant, however when we visited, restoration works were going on at the wellness area. The restaurant was filled with day light and was quite comfortable. I can’t judge the food as we spend only a short time to enjoy some local snacks and cakes (which were delicious by the way). The Lebua Lodge offers a children play ground and an amphitheater which has a capacity of 350 Persons. The Lebua Lodge can arrange the same activities on request as the Lebua Resort. I personally, can imagine staying over for a few days at the Lebua Lodge, so to just get away from daily life with my husband. It also makes a great getaway for a small celebration among friends, and you feel more easy going, while still being surrounded by a touch of high class, and intriguing as well as inspiring design concepts. It was as much a great experience because of your company. Yes, this trip has been a rich experience due to your company as well. Wow these both look incredible! Loved the pictures. It sounds so special that The Lebua Resort would give you details about the sites you had just visited that day. I hope you kept them, they would be fantastic to look back on and remember your trip by! 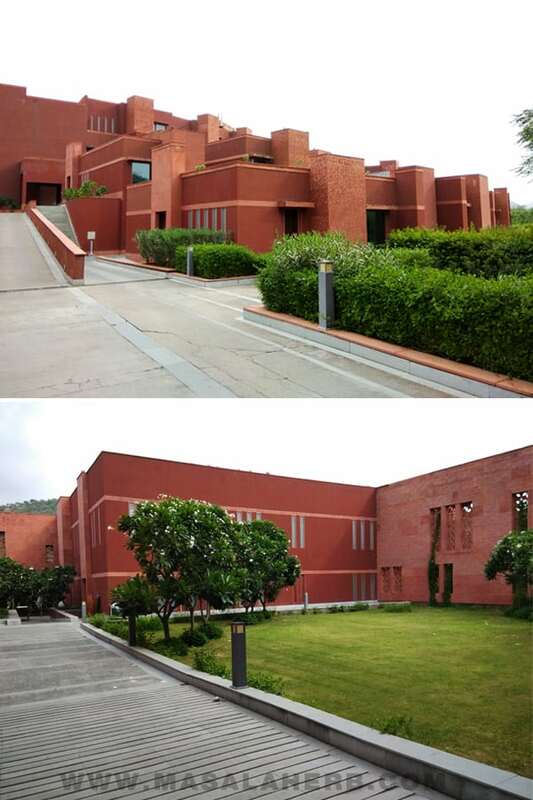 This looks to be a fantastic property in Jaipur. The rooms are so eclectic in their interiors! The food, too, looks tempting. 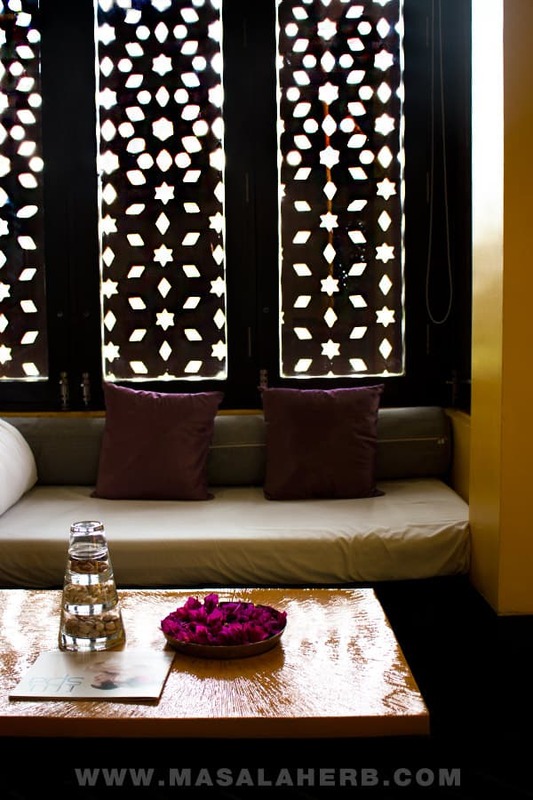 Absolutely, the rooms are definitely a highlight too and mirror the soul of rajasthani culture in a modern point of view. We really had a great time. It’s a complete experience. Nice place to visit. Thank you so much for beautiful photography. Jaipur is amazing and your stay seems to have made the experience even better. I’ll definitely try and visit Lebua, next time I’m in Jaipur. Looks amazing!! :) The hotel looks super fancy, especially the food:) thanks for sharing! Once in a while we should get some time off to rest properly. This looks like a lovely place to stay! I like how the rooms all have their own unique decor and color scheme. And your bamboo shaded jacuzzi area looks amazing! What a beautiful hotel in a perfect location! I loved all the colorful interior designs that you photographed! I’ll have to look up this place when I plan a trip to Jaipur. I am impressed by this hotel! It looks so cozy! I would certainly stay here one day, that’s for sure. I believe you would treasure it completely! This looks like such a beautiful resort! The rooms and the amenities look absolutely amazing! So luxurious! The Lebua resort in Jaipur is definitely special in design and approach, that’s a whole extra experience. I like your room and it looks luxurious. The facilities are also good. No wonder you enjoyed your vacation. Blair I think The Lebua hotel would be actually something you would love! They are having a famouse sky bar and hotel in Bangkok too. yes! On our first night we had an amazing performance by Rajasthani folk dancers and were served a 12 piece Thali, with veg and non veg option. IT was just such an eye opener! I got to learn about the different dishes and shades of flavors that go into a great Rajasthani Thali. Ohhhh I love the look of his hotel! So many vibrant colours. To be honest, I hadn’t heard kf Jaipur before, so thanks for sharing and opening my eyes to another destination I want to travel to. Wow this place looks amazing and so does the food. Glad you had a great experience. I am from Jaipur and i didn’t knew about this place, Thanks for sharing this beauty of here 🙂 This place looks amazing! How cool is that?! 🙂 Well if it’s not too far from your home, then you might enjoy a night or two there to get away from regular life. A friend of mine does that in Goa (where we live) so to get away from the kids with her husband, just so to tank again new energy. What a lovely looking hotel! 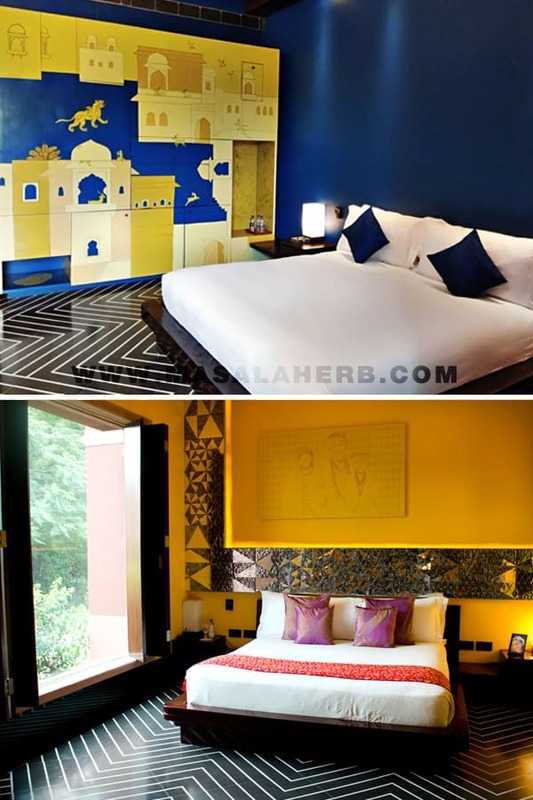 I particularly love how their design aesthetic is a little more bold and colourful than many Indian luxury hotels that seem to be more bound to the traditional classic Indian design. Here, they seem to have pulled away just enough to make the hotel feel more interesting but still has the Asian beauty as well. Exactly as you said it Kavey and that can be seen and felt in the rooms, restaurant, spa etc. That’s why I think the Lebua in Jaipur is quite special in it’s own ways. This hotel in Jaipur looks great! Thank you for sharing it. I cannot wait to visit and stay there. What a charming place! I love the wall décor in the hotel room and especially the views. Looks like a great place to visit and explore! Courtney, there is quite something to visit in the area. 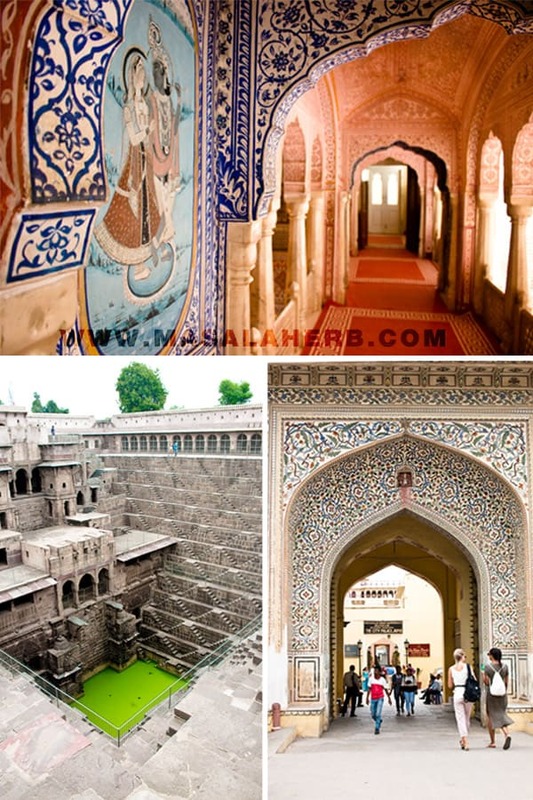 palaces, forts, markets and more historical sights. Also the resort offers horse, camel and elephant rides, which I think, as a foreigner, is super fun! This place sound AH-MAZING! Sounds like you had an amazing time during your visit. Thanks for sharing! Yes, Lebua has it all, I could need a holiday like this once in a while to learn to relax again. It looks absolutely beautiful! Would love to visit! Very beautiful resort. it look like very luxuries. thanks for sharing. The hotel looks great, and some of those rooms and the restaurant area look really nice. I’m glad you had such a wonderful stay! That hotel is gorgeous! I would love to stay there, The architecture is amazing! Hi, this may be interesting you: The Lebua Resort & Lodge Review - A memorable stay in the Pink City Jaipur Rajasthan #experienceatlebua!